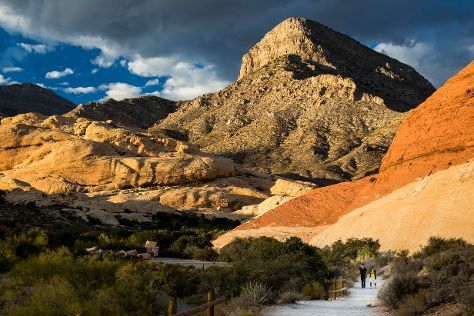 On the 12th (Tue), immerse yourself in nature at Red Rock Canyon National Conservation Area, then enjoy breathtaking views from High Roller, then take in nature's colorful creations at Bellagio Conservatory & Botanical Gardens, and finally admire the local landmark of Bellagio Fountains. To find photos, other places to visit, more things to do, and more tourist information, read our Las Vegas route planning site . In February, plan for daily highs up to 65°F, and evening lows to 45°F. Wrap up your sightseeing on the 12th (Tue) early enough to travel back home.